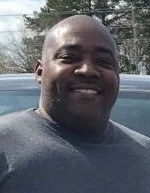 Byron Edwin Lane, 49, of Goldsboro, departed this life Friday, August 10, 2018 at his home. Mr. Lane was born in Alabama on April 26, 1969 to Constance Wynn Lane of Georgia and the late Billie Lane. He was retired from the United States Army. In addition to his mother, he leaves to cherish his memories his wife, Nicole Lane and three sons, Beau, Britt and Jordan-Austin Lane, all of Goldsboro and a host of other relatives and friends.